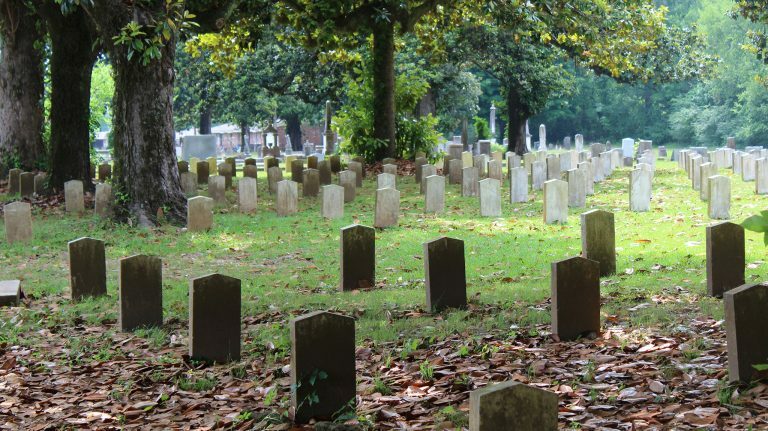 The University of Mississippi’s Center for Archaeological Research is using remote sensing technology to find unmarked graves of Union soldiers in a Columbus cemetery where some of the country’s first Memorial Day traditions began in the 1860s. UM researchers and students are working with the U.S. Grant Association and Presidential Library and the Billups-Garth Foundation, a Columbus-based nonprofit, to find the unmarked graves of about 10 Union soldiers in Friendship Cemetery. They are buried alongside Confederate soldiers killed in the Civil War. A year after the Civil War had ended, local women went into the cemetery and decorated the graves of both Union and Confederate soldiers. This act of reconciliation, the predecessor of our modern Memorial Day holiday, was called “Decoration Day” and became an annual event that was adopted all over the country. 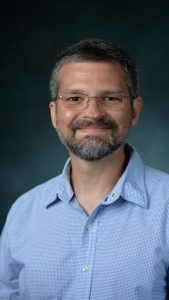 Identifying the final resting place of the soldiers in Friendship Cemetery is important work, said Tony Boudreaux, director of the UM Center for Archaeological Research and associate professor of anthropology. The group, which includes UM students, hopes to begin work this fall, Boudreaux said. They will use different kinds of remote sensing technology, chiefly ground-penetrating radar, to send an electronic pulse up to 20 feet into the ground. The pulses will be used to generate images of what the area beneath soil looks like. The team also will use a magnetometer, which can pick up localized differences in underground magnetic fields. Surveying the spot should take about a week, and events are in the works to allow the public to experience the project at the site. The country’s national day of honoring all who died in U.S. wars is called Memorial Day now, but it began as “Decoration Day” to honor those who died in the Civil War. Columbus is one of the U.S. cities that claims the first Decoration Day. Macon, Georgia; Columbus, Georgia; Richmond, Virginia; and Carbondale, Illinois are among the more-than-25 places the U.S. Department of Veterans Affairs identifies as being named in connection with the origin of Memorial Day. At the end of the 19th century, ceremonies across the country honoring the dead were being held on May 30. Following World War I, Memorial Day, was expanded to honor all of those who died in American wars, and in 1971, Congress declared Memorial Day a national holiday to be observed the last Monday in May. In 1867, one year after the first Decoration Day, efforts began to move the Union soldiers’ graves from Columbus to Corinth National Cemetery. It was believed at least 51 Union soldiers died in Columbus, and it had been assumed that all of the bodies had been moved. Recent research uncovered that only 32 were found in Friendship Cemetery, and another nine were found in Sandfield Cemetery, also in Columbus. This leaves 10 Union remains unaccounted for to this day. Each Decoration Day in the decades following the Civil War, locals continued to place flowers in the corner of Friendship Cemetery where it is believed the Union troops were buried in unmarked graves, near the remains of more than 2,100 Confederate soldiers. The work will be done in a sensitive manner through a partnership between the university, the two foundations and the city of Columbus, said Rufus Ward, chairman of the Billups-Garth Foundation. “Through the use of noninvasive remote sensing technologies, archaeologists from the University of Mississippi will attempt to locate the resting place of these American heroes whose graves played a central role in the origins of Memorial Day,” Ward said.